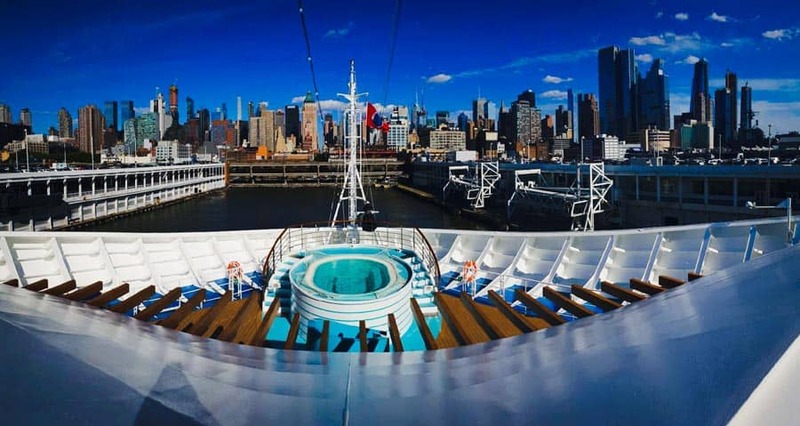 Cruise itineraries out of New York City have now been completed by the newest Carnival cruise ship Carnival Horizon. The ship has already departed the Manhatten cruise terminal and heading down south to Miami, Florida. The carnival ship is now making her way towards Miami, Florida after completing a series of sailings based out of New York City. Carnival Horizon departed on September 17 for the final time with no guest onboard. The ship was sailing a summer schedule of 4-day cruises to Bermuda and 8-day cruises to the Caribbean since first arriving in the U.S. for the very first time May. The ship will arrive at PortMiami on September 20 to begin her new year-round service from the cruise capital of the world. Carnival Horizon which is the second Vista class ship will operate 6-day and 8-day Caribbean itineraries but will first sail a special one time 2-night sailing to Nassau, Bahamas. The first official regular sailing from Miami will depart on September 22. The newest ship int he fleet will be met by the Carnival Airship which we posted about here. Carnival Cruise Line is promoting all the expanded choice across the Southeast, so an airship was launched and is now making its way to all the main homeports. Once Carnival Horizon sets off on her first sailing from the port, the airship will continue to move along up the cost of Florida including visits in Port Canaveral and Jacksonville. Carnival Horizon has been in the news a lot recently and with a new deployment now about to begin let’s hope it’s all smooth sailing. The ship had technical issues related to the propulsion in August. In the same month, we sadly reported that a crew member had passed away onboard, this was a tragic loss for all the crew members. More recently the ship was forced to alter a Caribbean itinerary out of New York due to Hurricane Florence. oh yes, and did we mention the ship hitting pier 90 in New York while attempting to dock! We hope you’re looking forward to the new cruise options out of Miami on the newest ship in the fleet. Carnival Horizon is 133,500 gross tons and has a guest capacity of over 2,900. The ship entered service in the Spring and started with inaugural cruises in Europe out of Barcelona. The ship features the fleet first Dr. Seuss WaterPark and Guy’s Pig & Anchor Smokehouse Brewhouse. Another third Vista-class ship named the Carnival Panorama will arrive in 2019.